Do you take your beer and wine selections seriously? 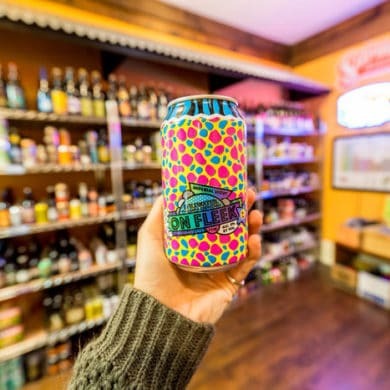 The need for craft beers and eclectic wines in Orange Beach was on the rise, so Maggie’s Bottle and ‘Tail answered the call. Maggie’s specializes in craft beers and wines that you won’t typically find in the stores and supermarkets. The walls are lined with vintage beer signs and some crazy can and bottle designs from craft breweries. Abby, the Director of Wine and Beer, spoke to us about what makes Maggie’s special. And since everyone likes something different, Maggie’s is letting the customer take the hoppy reins. Looking to sample the local flavor? Maggie’s is filling growlers full of local brew. The future for Maggie’s is expansion. Maggie’s isn’t just dabbling in the beer and wine game. Located just across the way, Maggie’s is selling local art and jewelry. Abby claims that there is a clear favorite in the shop. “We could probably run an entire second business just selling stuffed animals,” she says. Shop and drink like a local at Maggie’s. Maggie’s Bottle and ‘Tail is located at 25753 Canal Rd. Orange Beach, AL. For more information, visit the Maggie’s website or call (251) 948-9663.